The highly competitive real estate market in Colorado is facing a potential shake-up if legislation to appoint a special advisory commission to help the state insurance commissioner oversee the title insurance industry is signed into law by Gov. 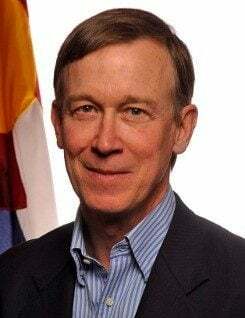 John Wright Hickenlooper Jr.
Senate Bill 15-210 passed both chambers of the Colorado General Assembly this week. The bill creates a nine-member title insurance commission to propose, advise and recommend rules, bulletins and position statements to the insurance commissioner. The group will also consult with the insurance commissioner if regulator action is taken against a title company, agency or agent. The commission’s membership will comprise three underwriter representatives, three agency representatives and three Colorado citizens who are not in any way engaged in title insurance business. Membership will be diverse, with no more than one member of the commission being appointed from a single company, affiliate or subsidiary. Members will meet at least four times, but not more than eight times, per year. According to Wolff, who has publicly shared concerns about the focus on affiliated business arrangements (ABAs) in Colorado, the bill could also impact the relationship between title agents and real estate brokers and agents. SB 15-210 was considered to be a response to the state Legislature’s increasing awareness of consumer problems related to misappropriation of funds held in escrow by title insurance entities, or defalcations. Legislators tweaked the bill along the way to give it more consumer protection provisions. Originally, the bill proposed a seven-member commission, with only one member from the general public. Increasing the number of consumer members on the commission is “a viable means of communicating the needs for more consumer protections to the Colorado General Assembly, which has been currently lacking,” Wolff added. From a title insurance perspective, the bill “will not allow the title industry to fly under the radar anymore,” Wolff opined. “This bill definitely has the attention of the Division of Insurance, which will most likely increase the division’s focus and regulatory oversight of the industry, which to a certain degree is needed,” he said. Wolff is still hopeful that legislators will continue to increase regulatory oversight of Colorado title insurance business, starting with addressing what he views as weak licensing requirements for title companies. Last year, New York passed, for the first time, a title insurance agent licensing law to address weaknesses addressed by state lawmakers in that state as well. Recently, New York Gov. Andrew Cuomo introduced another proposal that aims to reduce title insurance rates by prohibiting certain ABA practices and restricting markups on certain title services. Lawmakers and regulators in both Colorado and New York have been focusing on these issues for more than a decade, resulting in multimillion-dollar settlements with some of the nation’s top title companies. The commission is scheduled to sunset Sept. 1, 2025, subject to continuation after a sunset review as provided by law. The bill appropriates $3,200 to the Department of Regulatory Agencies for use by the Division of Insurance to implement the bill. SB 15-210 was co-sponsored by Colorado Republican Sens. Laura Woods, Randy Baumgardner, Chris Holbert and Beth Martinez Humenik (R-D24) and Democratic Rep. Jeni Arndt. Will new state title insurance regulators provide better consumer protection?